TBD.com announced today (okay, the Post announced, and TBD admitted) that their operations have been placed under the management of Bill Lord, general manager of WJLA (also owned by Allbritton Communications). Coincidentally, it’s exactly six months after TBD’s launch. Way to let the new business model percolate, Allbritton! The move seems to be designed to bring TBD more directly under Allbritton’s established management team, rather than under Erik Wemple, the Editor-in-Chief who had been recruited to TBD specifically from the Washington City Paper. While there’s no particular indication that Wemple is out at TBD, I’ll just point out that his entire team has just been placed under another manager, and ask whether you would be looking to stick around in that situation. Right now there are no public plans for staff cuts. While TBD staff emphasize that this is just some internal reorganization, TBD founder Jim Brady, who left the company three months ago over disagreements with Allbritton management about the direction of the venture, is fairly vocal that this is not a positive development. As part of this move, WJLA.com will be returning as a distinct website, separate from TBD.com. 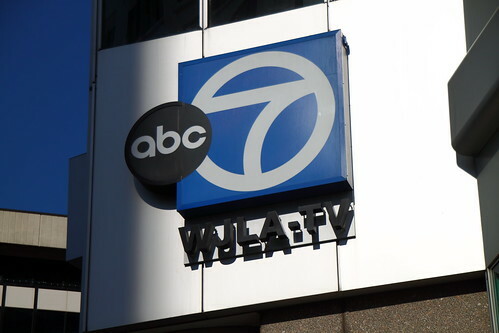 Personally, I’m hoping that this means that WJLA will be getting a redesign that brings it into the 21st century, since the pre-TBD version was, frankly, an embarrassment, and the crack Allbritton web team deserves to be identified with better work than that. Lostremote.com has some good analysis of why a separate site for WJLA viewers can be a really good and necessary thing, though I remain unconvinced that handing the web team over to the TV people is necessarily the best way to serve the needs of WJLA’s audience. Since there’s a great big ol’ TBD Community Network badge on every page of We Love DC, I probably don’t need to formally disclose that relationship, but I will take this opportunity to say, on behalf of the owners and author community, that we entered into our relationship with TBD because we appreciated the respectful, non-territorial approach they took toward working with local blogs. Even as TBD emphasized its own reporting more after founder Jim Brady’s departure, we continued to find our relationship with TBD to be a positive force on our site. We hope that the TBD team gets to continue that collegial approach under the management of the TV station. This entry was posted in: News, WTF?! That’s what I get for writing with a migraine. Thanks, fixing. Love the last paragraph and – as a TBD Partner – couldn’t agree more.